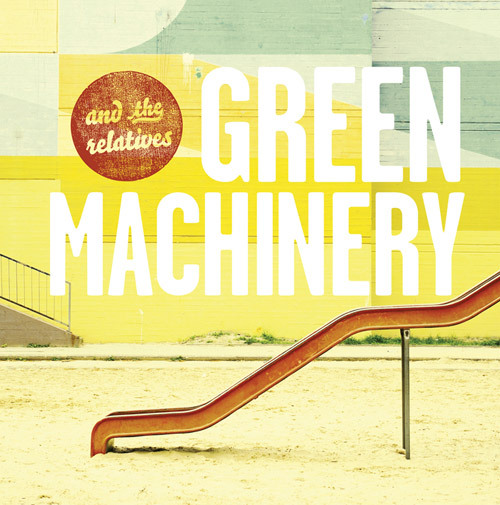 And The Relatives just released their first full-length album Green Machinery via Theory 8 and YK Records. I’m no professional music critic by any means, so I’ll keep it short. Get this album. The band put a lot of time and effort into this record and it shows. I must disclose that these guys are friends of mine, but again, I don’t claim to be a professional music critic. ATR’s style has always been heavily influenced by early/mid 90s indie rock, and they wear that on their sleeve. This album is anything but derivative, however. They somehow manage to inject a sense of freshness in the songs that keeps them from feeling stale. You’ll hear a little Guided By Voices, a little Built to Spill, and plenty of clever guitar riffage. Top it all with Andrew Brassel’s mellow yet rough-edged voice and just the right dose of production and you have yourself a quality album. Production-wise it’s pretty much spot-on. It was recorded at bassist Eli Beaird’s home studio, and the sounds achieved perfectly match the songs. The artwork is worth noting as well- Micheal Eades, Kyle Scudder, and BOSS Construct did a great job on the packaging, and it’s well worth it to buy the limited edition vinyl to get the full effect. If you’re short on cash, have no fear though- you can pay as little or as much as you want for the digital version at their bandcamp. The standout track on the album is easily “Hammer Down,” and you can check out the video for it below.